The fugitive liquor baron Vijay Mallya has arrived before a London court for the hearing in his extradition case. The UK court judge is expected to review a video of the Mumbai jail cell prepared by the Indian authorities for Vijay Mallya. Before heading inside the court, Mallya told reporters that he had offered a “comprehensive” settlement before Karnataka Court. “I have made a comprehensive settlement offer before the Karnataka High Court in India and hope the honourable judges will consider it favourably. Everybody gets paid off and I guess that’s the primary objective,” he said. "IDBI bank officials were well aware of losses at Kingfisher. 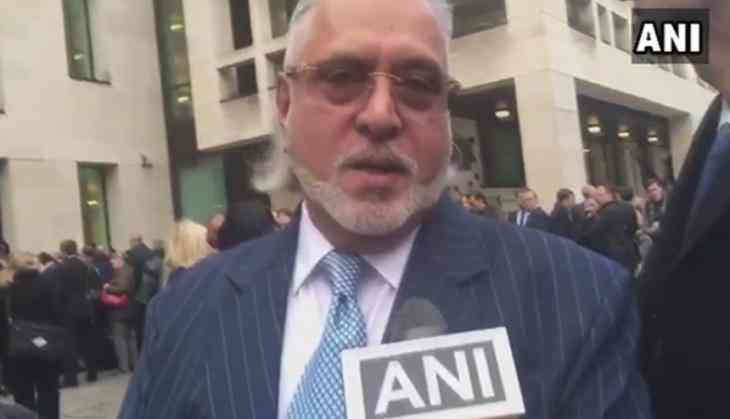 E-mail from IDBI officials show that govt accusation that Vijay Mallya hid losses, is baseless,"Lawyer of Vijay Mallya tells Westminster Magistrates Court in London said. The 62-year-old business tycoon and liquor baron Vijay Mallya is currently on bail on an extradition warrant since his arrest in April last year. He has been fighting extradition to India on charges of fraud and money laundering amounting to around Rs 9,000 crore. In July, the Westminster Magistrates' Court Judge Emma Arbuthnot had asked the Indian authorities to submit a "step by step video" of the Barrack 12 of Arthur Road Jail for "the avoidance of doubt" over the availability of natural light in the cell. The video was asked of the cell where Mallya is expected to be detained pre-trial, during the trial and in the event, he is convicted by the Indian courts. Mallya escaped to the UK in 2016 and has been fighting against any moves to extradite him to India to face trial. Mallya is wanted in India for defaulting on loans worth crores and also in a money-laundering case.